Once upon a time, which was really not so very long ago, scientists believed that the infamous Hepatitis C Virus 'only' infected humans. While it is a very tempting hypothesis, no evidence to date has been obtained for infection of Hepatitis C-like viruses in either apes or Old World monkey species. Recently reasearch has uncovered several novel non-Primate Hepatitis C Viruses in horses, pigs, European cattle, African cattle and some rodents. Still, it remains a mystery how such a dangerous and potentially deadly virus could travel so successfully around the world. Even migration, travel and tourism could not account for all of the expansion of the virus. Brown or Norvegian rats (Rattus norvegicus) are globally distributed and concentrate in urban environments, where they live and feed in closer proximity to human populations than most other mammals. To explore the zoonotic disease risk posed by urban rat populations, scientists trapped and surveyed brown rats in New York City over a one-year period. These scientists wanted to detect known and unknown pathogens in brown rats. 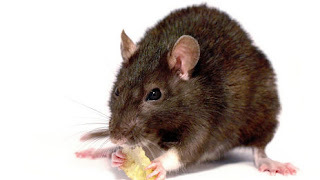 They found that most rats were infected with several bacteria and viruses, among them a novel Pegivirus (NrPgV), Seoul Hantavirus and two novel Hepatitis C Viruses. These were named as Norway Rat Hepacivirus: NrHV-1) and NrHV-2. These findings may help explain the rapid expansion of the Hepatitis C Virus around the world. Firth et al: Detection of zoonotic pathogens and characterization of novel viruses carried by commensal Rattus norvegicusin New York City in MBio - 2014. See here.